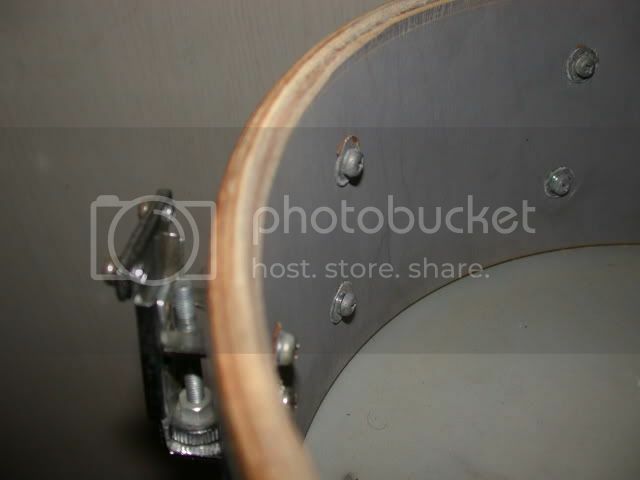 anyone here experiment with changing thier snare beds? i have a pro m snare and it doesnt have much of a bed. thinking about filing it down. When I first received my Mica-Sonic set I was very unhappy with the way the snare sounded. I had to keep the strainer very loose or it would choke the bottom head. 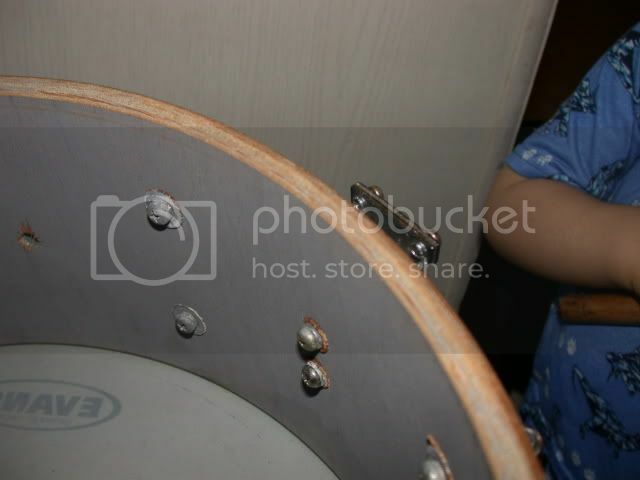 It sounded more like a tom than a snare drum. I used a dremel with a sanding cylinder bit and CAREFULLY shaved almost an eighth of an inch out of the snare valley bed. This bed should taper nicely to the desired thickness(or thinness) as it approaches the strainer location. In the end it became a staple snare in my line-up. It has more crack, less snare rattle, and is much more sensative. Totally worth the hour I spent on it. I get compliments from good drummers all the time on how it sounds. I was getting ready to research this before I let my Gretsch Catalina maple snare drum go. (traded with kit) The one weak link of the Cat maples is the snare drum, more specifically the snare bed, or seemingly lack thereof..
thank you. i will see if my buddy has a drmmel. im sure he does. is there a way to know how a narrow bed will respond compared to a wider bed? For more specifics on this subject check google..unless of course someone here has further more technical info. 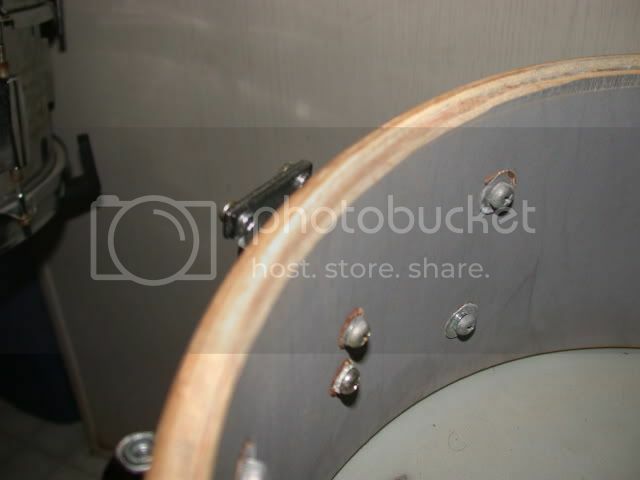 A good site for drum rebuilding is ghostnote dot com. Maybe it's just me but I'm not seeing any difference. I even have my reading goggles on. Not a lot of material is taken out. Look closely at the line in the wood that travels parallel with the bearing edge about a 1/4 in. down. You can see in the second photos, the bearing edge travels bellow this after the dremel treatment. It looks subtle, but the difference was substantial. One of the drum building sites have an idiot proof snare bed cutting jig if you've got a table router... I forget which site it is though.